You are passionate about innovative solutions and are looking for a challenging environment to grow in? Explore our various positions across business and tech and find out more about opportunities at Zalon. Take your career to the next level through the business development, general management and expert paths. We are passionate about learning and self development through continuous, 360° feedback and trainings. Our offer of trainings enables cross-cultural exchange and growth. Enjoy our onsite gym facilities and offsite sports activities, such as relaxing yoga or energetic kickboxing. At Zalon we like to help you stay active by integrating our offer of free excercise classes in your daily routine. Furthermore, free bike and car rentals allow you to go from business meetings around the city at ease. We believe it's important to encourage an open and friendly exchange between colleagues through team building days, seasonal social events and weekly team meetings. In addition, flexible work time and home office days allow you to find the right balance between independent work and team work. You're a creative problem solver with a business skillset and enthusiastic about fashion? Join our Stylist Operations Team and contribute to building our strong stylist community, with the goal of creating the best outfit experience for our customers. As a member of our in-house Content Production Team you get to work on exciting campaigns in a diverse team of creatives to take our brand presence to the next level. At Zalon, we join a multicultural team of people from 24 countries. We love exchanging our ideas and unique perspectives to reach a common goal - this diversity is also reflected in our wealth of job opportunities in core operations. We are currently present in both German and Dutch speaking markets and five countries across Europe: Germany, Switzerland, Austria, the Netherlands and Belgium and continue looking for opportunities. We love our customers and continuously work on improving their experience through tailoured communication strategies. As part of our dynamic Marketing Performance Team, you will have the chance to spread the word about our service and work for innovative channels to engage our customers. Our startup mindset allows us to remain flexible - we love testing things, challenging ideas and learning from our mistakes to achieve our ambitious goals. We have a cloud-based microservices architecture - we work with a leading-edge technology stack comprised of REST APIs, Scala, Spark, Python, Kafka, Play, PostgreSQL, Elasticsearch, Docker / Jenkins amongst others - check our Tech Radar for more information on the technologies we use. You can check out our mobile apps on Google Play or iTunes Shop. Proudly developing them with the newest Android tools and Swift for iOS. Our outfits are curated from Zalando's assortment of over 200,000 items. We develop algorithms that will ultimately help our customers receive the "a perfect outfit in no time". We collect a wide range of proprietary data points on both customers and stylists. From our data we build models and implement algorithms to address a variety of topics. These touch upon several different areas of machine learning and statistics, including recommendation systems, classification, optimisation, etc. I joined the UX team right after my MA in Strategic Design and Management at Parsons - NY. I'm delivering design solutions for our customers & stylists. Call it “Design with Empathy”. I meet regularly with our users and stylists and I have learned how & why user research and design strategy are crucial. I am part of the founding team at Zalon. Been here for nearly 3 years leading a data driven team who handles our entire Stylists Operation. I thoroughly enjoy seeing my team grow and further develop and I love having the chance to be innovative and creative when coming up with solutions (we prototype and test new ideas after very engaging brainstorming sessions). 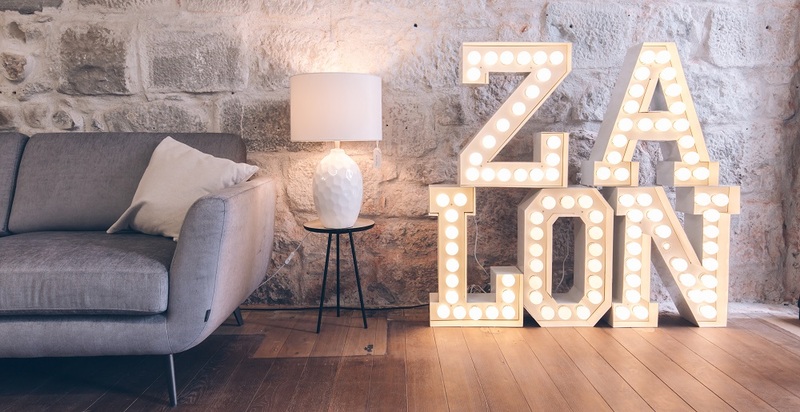 After 3 years at Zalando I took the opportunity with Zalon in a brand new marketing team, as their Growth Manager. I really enjoy testing new ideas and developing strategies to ensure further growth of Zalon and I appreciate that all my energy and efforts are being rewarded by trust and autonomy from the leadership team.